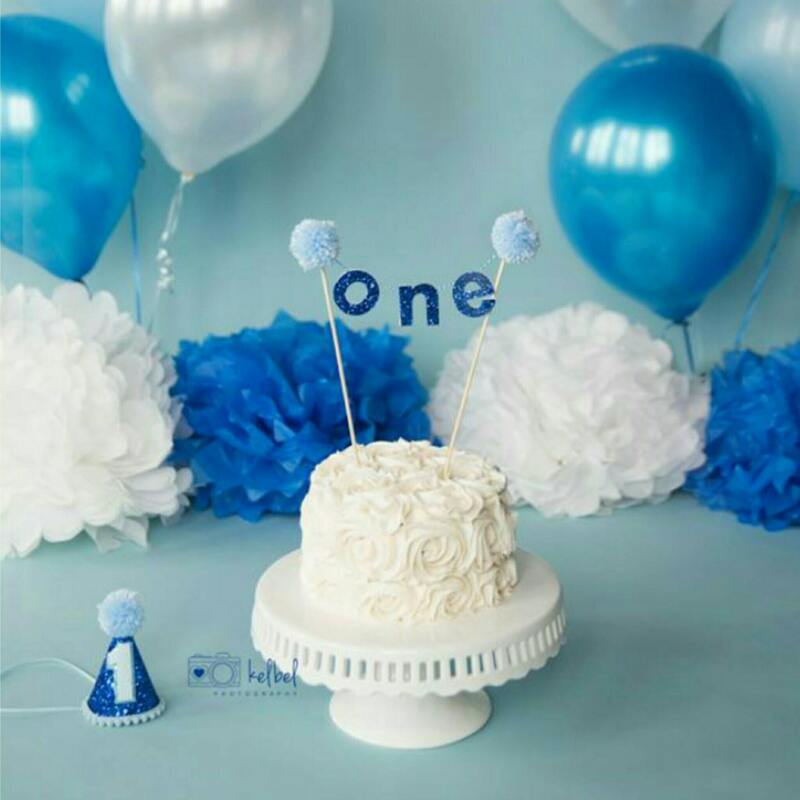 Our cute Cake Bunting shown in Metallic royal blue Glittery fabric shown with "ONE".. 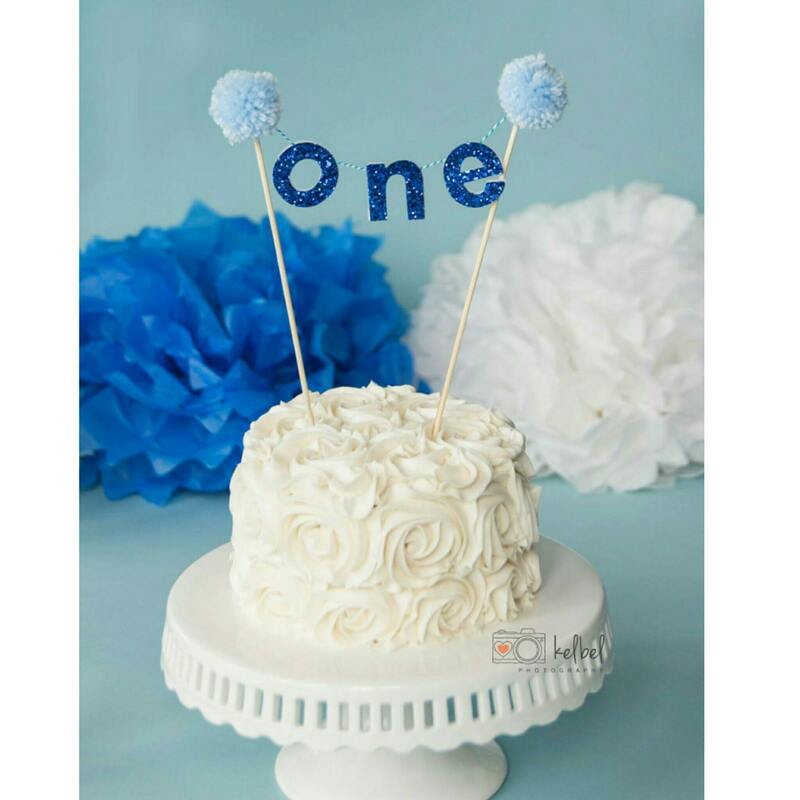 Letters measure 1" long with soft pom poms accenting the banner. Always a pleasure and easy doing business with you. Thanks for adding to this special birthday.